Acupuncture That Works Cheshire › Acupuncture › Acupuncture for everyone, including celebrities! We all feel the strain of modern life and celebrities are no exception. 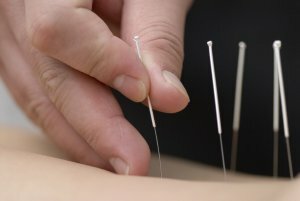 Their expensive and excessive treatments seem a bit out of reach for us regular people, but many celebrities such as Gwyneth Paltrow have recently come out saying she turns to acupuncture to heal herself. It’s unsurprising that this A list celeb has turned to alternative remedies to help her after her split with husband Chris Martin. Amongst goji berries with chrysanthemum flowers brewed into tea, acupuncture has become one of her latest remedies. After seeking the advice of an acupuncturist on her weekly blog the star explained how ‘One day, when being treated by an acupuncturist, a Spanish friend who was visiting me in London walked into the room and remarked that I looked like a bull who’d had a run in with the picadores (the dudes on horseback who stick the bull with many little knives to rile him up before the actual fight).